Stop cluttering up your garage, basement, attic, and/or yard! Excess items belong in a backyard shed. Think of all the extra room you’ll have in the house – not to mention how neat and tidy everything will look! 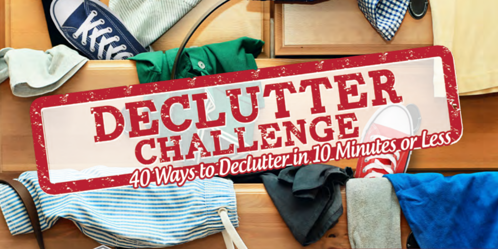 If you're ready to take back every room of your house and garage, buy a shed and take our Declutter Challenge. Just 10 minutes everyday is all the commitment you need! Save time searching for lost possessions. With everything in one place, you’ll know exactly where to look first – your new portable building! When excess items are tucked safely away in a storage building, the things you use every day can be kept nearby for faster access. Having that ideal yard and spotless garage is easier than you might think. Immediate improvements can be made by simply stowing away less attractive items. These pieces can often distract from the beauty of your home. 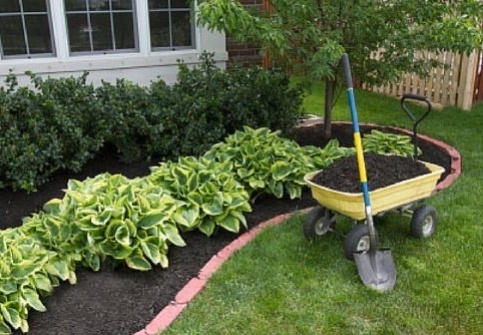 Want some simple ways to improve your landscape? Try out these tips! Less clutter means more space, and more space means easier cleaning. How often do you really clean out your garage, basement, or attic? Once a year, maybe? Even less? That’s okay; we’re not judging! When everything is jumbled, it makes cleaning seem like such a chore. Seeing wide open spaces makes this task appear much less daunting. Bonus: When there’s less clutter, there are fewer places for dust and dirt to collect! Once you get your shed, below are some tips on keeping your portable shed clean too! Keep your belongings safe from outdoor elements by storing them in a backyard shed. Don’t let your lawn equipment and other items rust due to moisture exposure. Click here to see how a Cook Portable Warehouse can keep your possessions safe from moisture and other elements. No one wants their storage materials to be taken over by various critters. A good shed will be secure enough to keep these pests from getting inside. Cook Portable Warehouses even offers a lifetime warranty against decay and termite damage! When things are scattered about your yard, this results in added temptation for thieves. Keep those possessions locked up – out of sight and out of harm’s way. 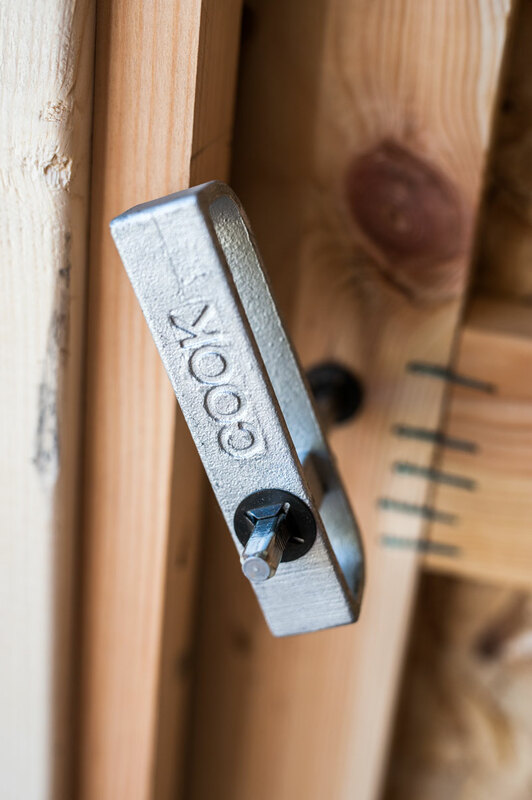 Fortunately, Cook sheds come with a locking door handle to provide extra security and peace of mind. Here are three tips for keeping your shed even more secure! Furthermore, it’s important to keep children out of harm’s way by locking up dangerous equipment. 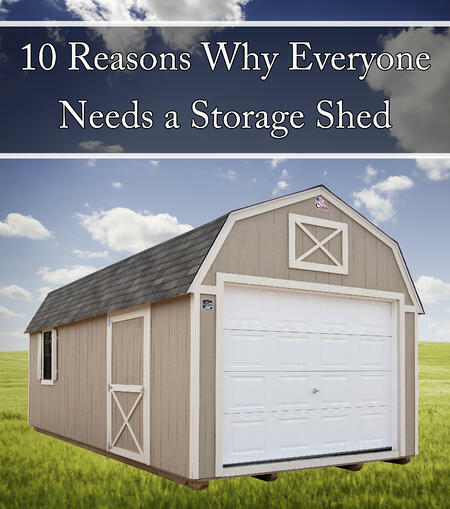 A lockable shed can also serve as a method of childproofing your home. It’s true! Adding an attractive storage unit to your property can actually increase your home’s value. Find out more here! Interested in learning more about your storage options? 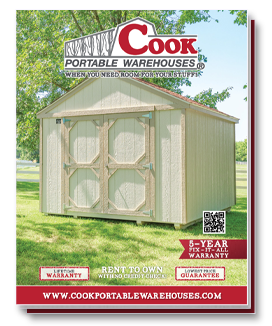 Click here to locate a Cook Portable Warehouses dealer near you! Or download our free questionnaire below to help you choose the right shed for YOUR needs!